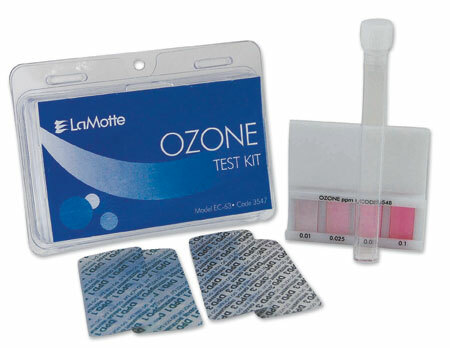 The ozone test kit measures Ozone levels at 0.01, 0.025, 0.05 and 0.10 ppm. The kit includes 20 DPD 1 and DPD 3 instrument grade TesTabs? tablets that are added to a 10 mL test tube. Once the tablets disintegrate then the analyst would match the reacted water sample to the Ozone ColoRuler color chart.